1/2 a rack per person for adults and 1/3 a rack for small eaters or children. 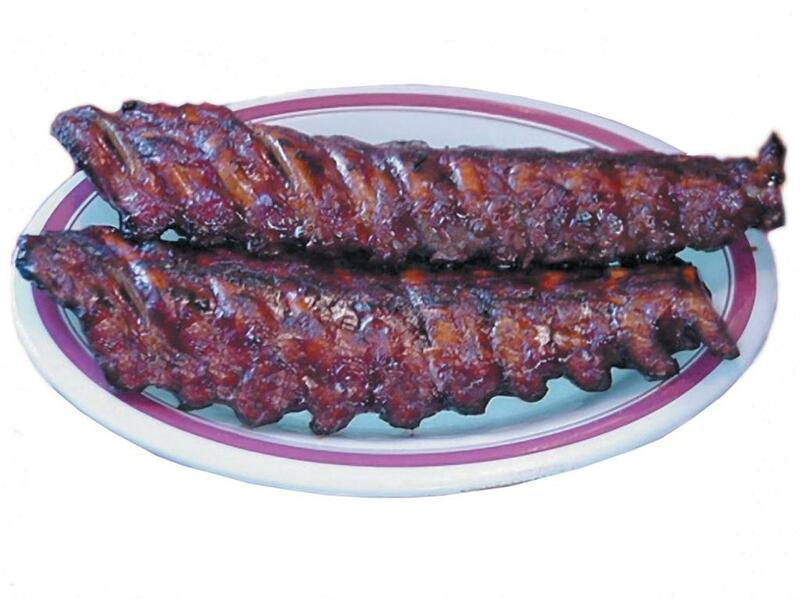 (Occasionally, a full rack for the big eater). Select a broiler pan or cookie sheet. I serve the plates with corn on the cob and green beans and NO SAUCE. Each person selects their BBQ sauce and adds it to their meat. This is a FALL OFF THE BONE procedure. If you want them less done, cut the time by 30-60 minutes. I never cook the meat with the BBQ sauce. Once you have tried this you will see that it is not necessary and it allows everyone to use their favorite BBQ sauce choice. As in any family, there are those that like sweet sauce, tangy sauce and spicy sauce. This way you can please them all! ENJOY!